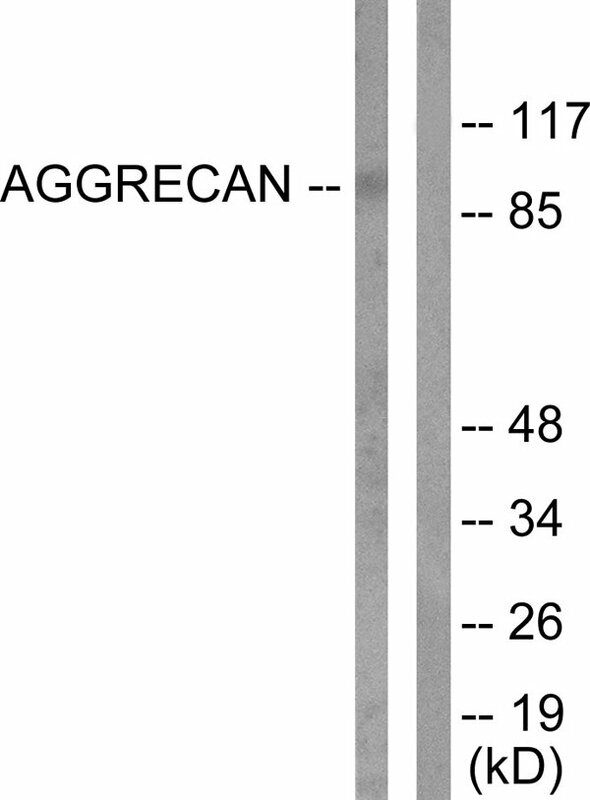 Aggrecan (Cleaved-Asp369) antibody detects endogenous levels of fragment of activated Aggrecan resulting from cleavage adjacent to Asp369. The antiserum was produced against synthesized peptide derived from human Aggrecan. 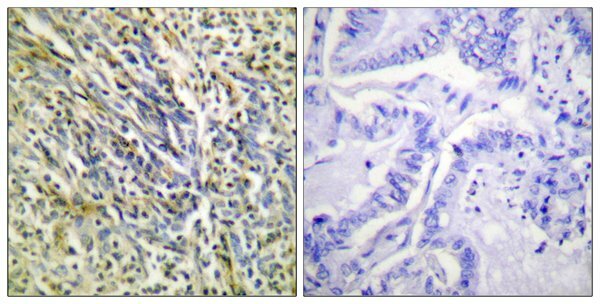 Cl-Peptide-+ Immunohistochemical analysis of paraffin-embedded human lung carcinoma tissue using Aggrecan (Cleaved-Asp369) antibody (#L0101). Western blot analysis of extracts from Jurkat cells, treated with Etoposide (25uM, 60mins), using Aggrecan (Cleaved-Asp369) antibody (#L0101). Ichiro Sekiya, J. Biol. Chem., Apr 2000; 275: 10738. Ying Liu, J. Biol. Chem., Nov 1997; 272: 29880. Russell T. Matthews, J. Neurosci., Sep 2002; 22: 7536. Amit Agrawal, Am J Physiol Cell Physiol, Apr 2007; 10.1152.